Summer vacations in Napa Valley are still months away but it’s never too early to start planning! Whether you’re going there solo to explore the region, as a romantic holiday or honeymoon, or a family-friendly vacation, Napa has something for everyone. Here are some of the many fun things you will want to plan for your summer vacation in Napa Valley. It won’t be a complete Napa Valley tour without going to the wineries. From the more established wineries to the smaller, family-run boutique counterparts, the region will satisfy every wine lover. For the families, they won’t have to worry about taking their kids to the wineries. Many wineries offer non-wine activities. Take a tour around Castello di Amorosa’s massive 13th-century-style Italian castle. See amazing art pieces at wineries like Hess Collection, Clos Pegasse, Artesa, and Ma(i)sonry. Take a cable car at the Sterling Vineyards, or have a shaded outdoor picnic at many of the area’s wineries. From the Michelin-starred fine dining heavyweights to the casual street side cafes, Napa Valley is not just a wine paradise, but a foodie paradise! Just walk in, or reserve a table (which is recommended considering summertime is also a peak season for Napa restaurants). Have your meals prepared by some of the world’s most renowned chefs, or if you’re scrimping and saving, pack a lunch and have a picnic at one of the wineries. Many wineries provide a lovely deck or patio that offers a splendid view of the vineyards. Many national parks and hiking spots also provide picnic amenities. Napa Valley is too beautiful not to be explored and discovered. One of the ways to explore the Wine Country is to ride the Napa Valley Wine Train. Its fabulously restored 19th-century vintage railcars feature lovely interiors and comfortable seating. Plus, it is also a moving fine-dining restaurant where you can enjoy comfort haute cuisine meals while the train runs from downtown Napa to St. Helena. Do you want to get closer to the vineyards? Enjoy a bike tour! A lot of operators offer (mostly one-day) guided bike tours. Or you can rent a bike and take a self-guided tour, provided with maps, and hit the trails by your own. Hiking is also another way to appreciate the natural beauty of Napa, which is home to rolling hills and scenic views. The region has several hiking spots that offer different levels of difficulty for every hiker, whether you’re a beginner or an expert. Many hiking spots offer either free entrance or free RV parking. 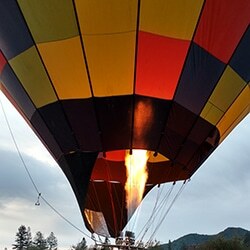 Another way to explore the beauty of Napa Valley is to ride a hot air balloon during sunrise. Elevate your Napa summer vacation by riding a hot air balloon. Float over the neat rows of lush vineyards and the rolling hills, which may be occasionally blanketed by the familiar California fog. Of course, when looking for a hot air balloon operator you’ll want to choose one that has years of experience as well as excellence in reputation, safety, and customer service. 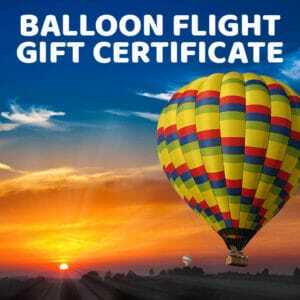 Choose an experienced hot air balloon operator with FAA-certified pilots whose passion for flying and meeting people will make an excellent guide and companion throughout your flying journey. Balloons Above the Valley (BATV) is one such operator which provides you the best of experience, safety, and enjoyment that goes beyond the hot air balloons rides. We also offer a fresh and hot breakfast for our guests before they go to the hot air balloon launch site, and help you celebrate the successful flight with a champagne brunch brimming with seasonal buffet-style delights. BATV is open to every individual, couple, friends and even families who want to take part in our hot air ballooning adventure! It is important to note, however, that we do have age and height requirements: children must be at least 6 years old and 48 inches tall. If you have children who do not meet this requirement you can ask about the Chase and Brunch option when you call to learn more. We offer several hot air balloon and conventional wine tours packages, with different rates which will help you choose according to your preferences and budget. Call us at 800-464-6824 if you would like to discuss our packages. Now is the perfect time to begin planning your vacation. Take the opportunity to book your lodging, reserve a table at a restaurant you want to try, or a hot air balloon flight with Balloons Above the Valley. It’s the right time to start planning your summer vacations in Napa Valley while it’s still early!